It had to come to this sooner or later. Now you can look up your neighbor’s divorce files or check out your date or your babysitter online. Maryland Circuit Court and District Court records are posted on the Internet for all counties except Montgomery and Prince George’s and those counties will be added soon. 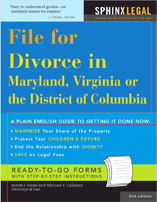 Just type in the name at this website and you can see all civil, criminal and divorce records. I put in my name and see that I have handled 40 cases outside of Montgomery and PG Counties. Client names, opposing parties and whether I won or lost are there too. Who Keeps the Engagement Ring? Can I Date?